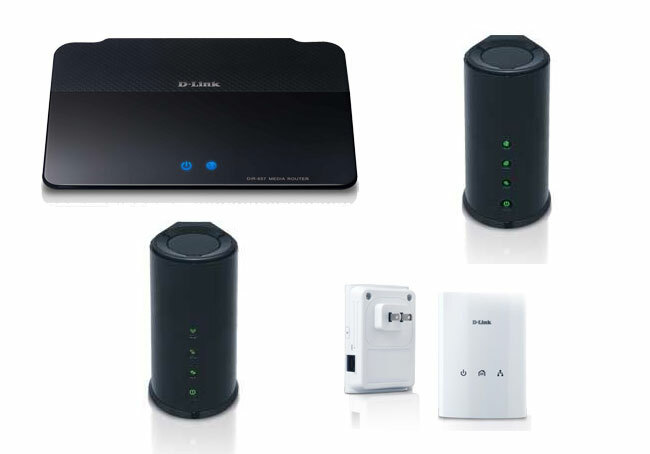 D-lInk has launched a new range of home networking devices this week, called the Amplifi range which consist of routers, boosters and powerline products. The range has been designed to provide an easy way to fully network your home and provide uninterrupted network connections in any room your desire. The Whole Home Router 1000 and the HD Media Router 1000 use D-Link’s SmartBeam technology which tracks devices and “focuses beams of bandwidth” to keep you connected in every room. The D-Link HD Amplifi Networking Range includes a Media Router 1000 (DIR-657) $149.99, Wi-Fi Booster (DAP-1525) $159.99, Whole Home Router 1000 (DIR-645) which will be available in August for $119.99, DHP-500AV Adapter $99.99, DHP-501AV Starter Kit (two adapters) $159.99 and a DHP-540 Four-Port Gigabit Switch $199.99.